Home » soa » \Java\jre7\lib\ext\QTJava.zip was unexpected at this time. Process exited. \Java\jre7\lib\ext\QTJava.zip was unexpected at this time. Process exited. If you face " \Java\jre7\lib\ext\QTJava.zip was unexpected at this time.Process exited" error while Weblogic server start then you need to follow below steps to resolve this. To resolve this follow below steps. 1.) 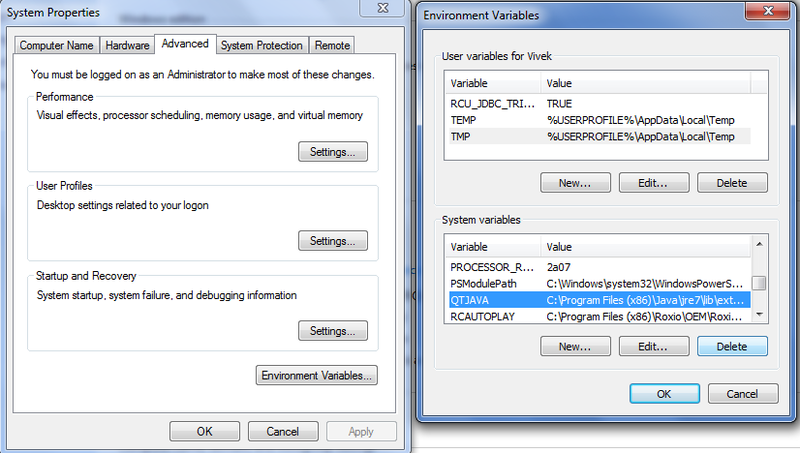 Check if "QTJAVA" environment variable is set or not, if it is set then delete this environment variable. 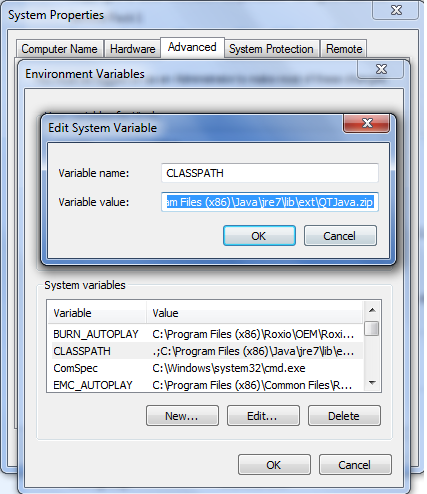 "C:\Program Files (x86)\Java\jre7\lib\ext\QTJava.zip" from %CLASSPATH% environment variable. Restart your computer and you should be able to start your Weblogic server. I had the same problem. Your solution fixed mine. Thanks.